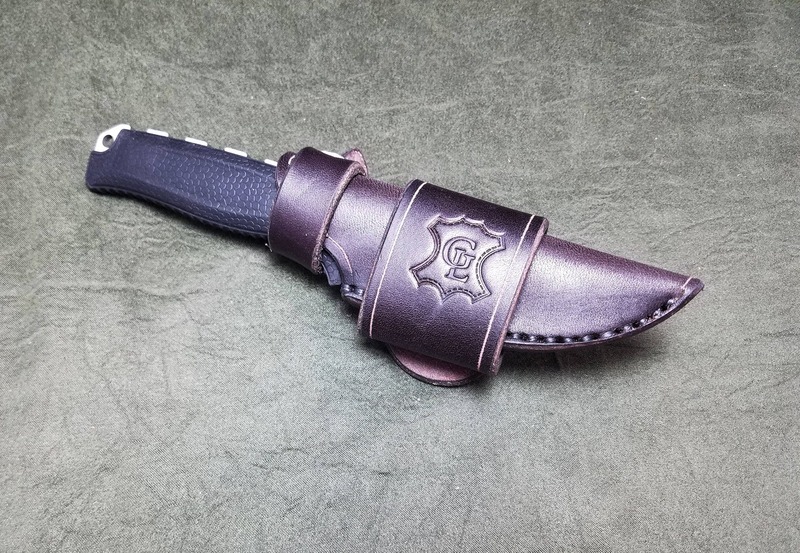 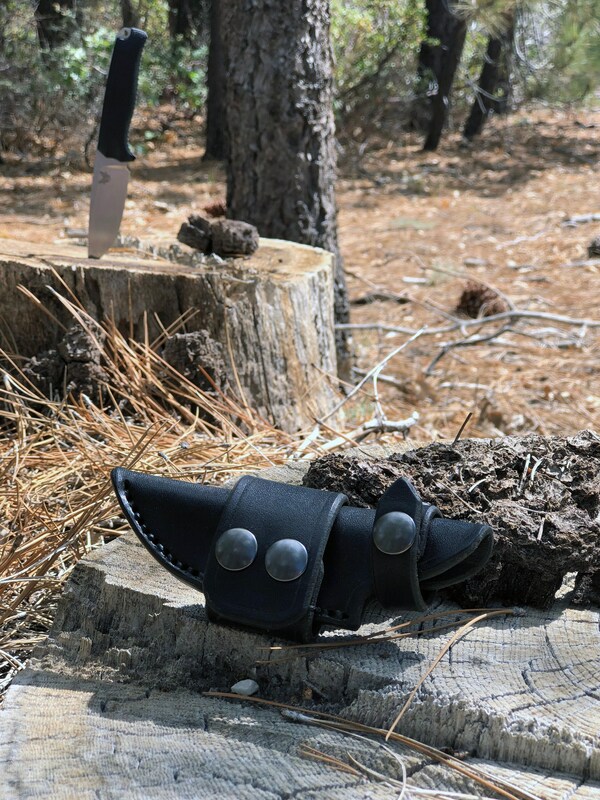 It is made out of 8-10 ounce latigo cowhide, and features a 1.75" wide strap that snaps closed to carry the knife horizontally on your belt, and a snap closure for the grip of the knife. 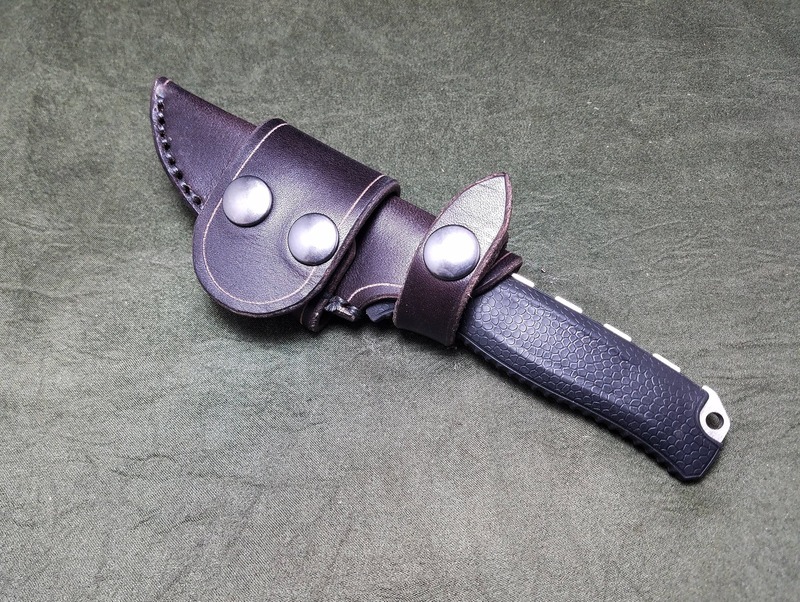 We now offer the sheath with a solid 1.75" wide loop, which allows the knife to be carried on the Right or Left side, but does not unsnap, so must be threaded onto your belt. 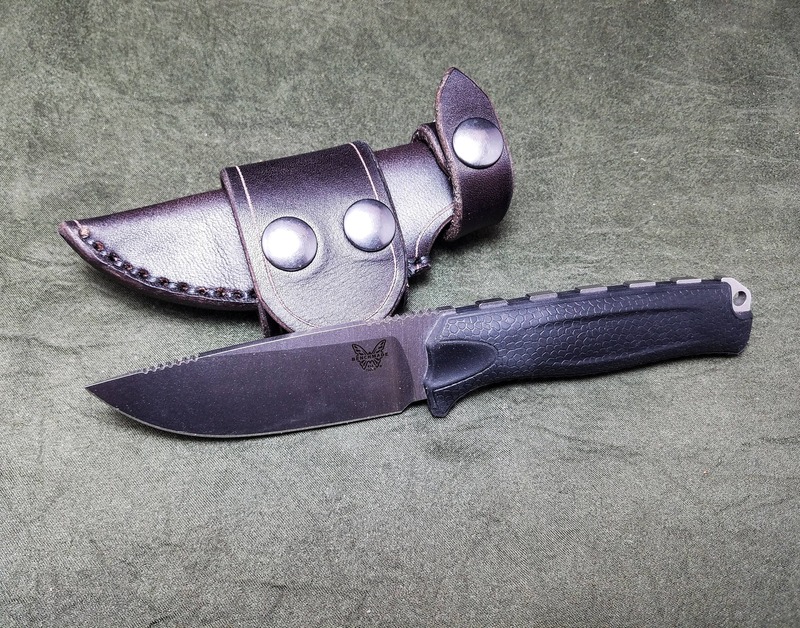 If you have the 15009 model of this knife with the hook, let me know, and I can adjust the pattern to accommodate the different blade shape. 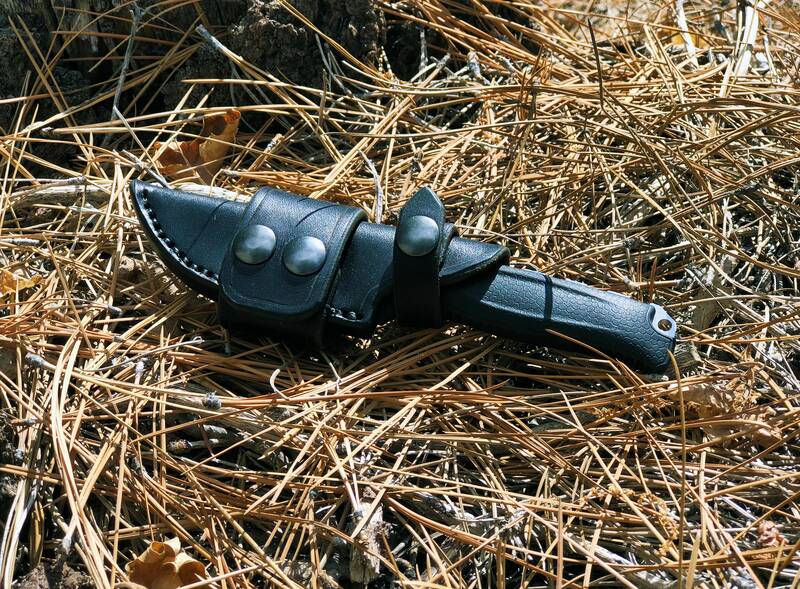 If you're looking for a Kydex sheath for the same knife, or a vertical leather sheath, check out my other listings.